How does the tubulin complex assemble? Microtubules are made up of repeating units of α/β- tubulin heterodimers, which are assembled on a γ-tubulin ring complex (a complex of γ-tubulin and other protein components), during the nucleation phase. Tubulin is a small globular protein found in all eukaryotic cells. The tubulin family represents about 3-4% of the total protein content in a cell and its members include α-, β-, γ-, δ-, ε-, and ζ-tubulin . Although the different forms of tubulin are similar, they can have different cellular locations and functions. It should be noted that although both *actin and tubulin are basic components of the cytoskeleton and possess the ability to hydrolyze NTP, they are evolutionarily distinct with actin being related in structure to hexokinase and tubulins being distantly related to heterotrimeric G-proteins and other GTPases such as Ras . The γ-tubulin ring complex is the starting point for microtubule nucleation. Repeating units of ~110kDa α-tubulin/β-tubulin heterodimers are the primary component of microtubules. Microtubule assembly starts with the assembly of a tubulin complex. Here, γ-tubulin and other protein components form the γ-tubulin ring complex (γ-TuRC) . 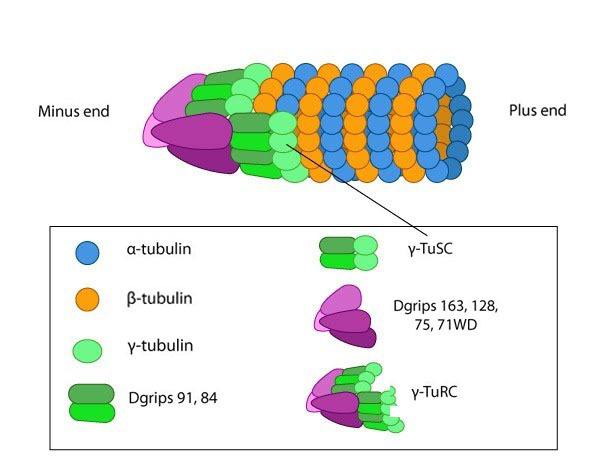 The specific cellular roles for additional tubulins such as δ-, ε- and ζ- tubulins are less well known, but they can be found in centrioles and may be involved during mitotic spindle assembly and cell division . Post-translational modification of tubulin such as acetylation, detyrosination, phosphorylation etc. have also been described at length . These modifications may influence the structural properties of microtubules, alter their dynamics and affect how they function within the cell. Microtubule nucleation is unfavorable under normal conditions found in most living cells. Consequently, microtubules are nucleated from a complex of γ-tubulin and other protein components known as the γ-tubulin ring complex (γ-TuRC). γ-TuRC nucleates and caps the minus end of new filaments by providing stable binding sites for tubulin dimers . Tubulin dimers primarily use longitudinal interactions to bind to each other and to γ−TuRC during the nucleation phase. As the protofilament length increases, lateral interactions between the protofilaments create additional stability that leads to a closed microtubule . After the slow nucleation phase, microtubules elongate rapidly. The minus end of γ-tubulin is anchored near the MTOC, whilst the plus end of γ-tubulin is exposed. This allows elongation to occur from the exposed γ-tubulin through interactions with the minus end of α-tubulin/β-tubulin heterodimers . Although it remains unclear whether the formation of longitudinal contacts with α-tubulin stimulates γ-tubulin hydrolysis of GTP, the rate of GTP hydrolysis on β-tubulin, along with its concentration are determining factors of microtubule assembly . Once a tubulin dimer has been added to the lattice, the more likely it is for the GTP on β-tubulin to be hydrolyzed. 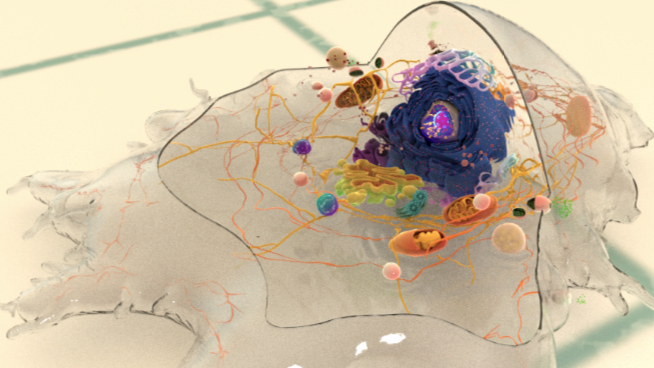 MAPs can also control the rate of assembly/disassembly, the rate of GTP hydrolysis and the overall length of microtubules. What is microtubule dynamic instability? 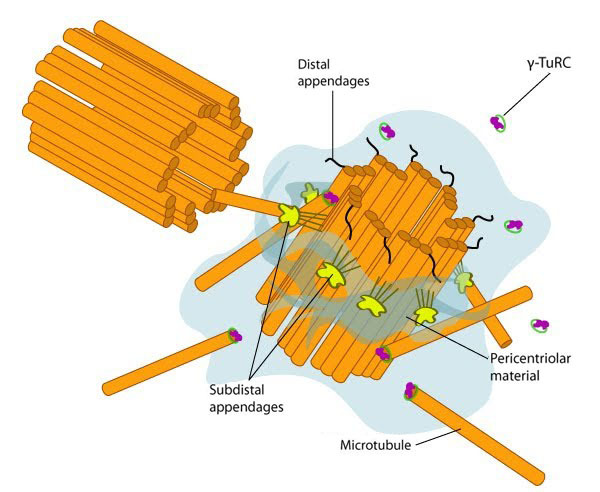 What is the role of microtubules in mechanotransduction?